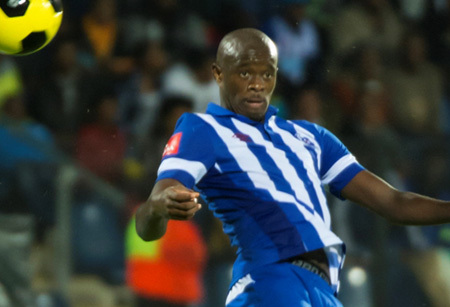 Maritzburg United will be out for nothing less than maximum points when they square up to Bloemfontein Celtic in the Free State on Sunday afternoon. The Absa Premiership encounter takes place at the Dr Molemela Stadium, kick off set for 15H30. The Team of Choice will be looking for revenge after they suffered a 2-0 loss to Celtic in a first round game at the Harry Gwala Stadium in September, 2015, Thapelo Morena and an own goal by Tamsanqa Teyise giving Phunya Sele Sele victory that day. The match marks the return of head coach Ernst Middendorp and assistant coach Fadlu Davids to their former club, while the Team of Choice recently signed Gregory Maasdorp and Tumelo Mogapi from Phunya Sele. Captain Kurt Lentjies has also played for both clubs. The Free State club are currently 12th on the standings, with 22 points from 19 games, while Maritzburg are 16th, with nine points. United came from a goal down to draw 1-1 with Platinum Stars in their most recent action, while Celtic lost to Chippa United, 1-0. Of the 19 previous times the two clubs have met, United have won seven, Celtic just three, while there have been nine draws. Maritzburg do not have any suspensions, while for Celtic Bevan Fransman, Bulelani Ndengane and Julius Likontshane are all suspended.